THE PICKIEST EATER IN THE WORLD: THIS IS HOW WE ROLL: CRYSTAL JADE'S DICE GAME AND MID-AUTUMN FOOD FESTIVAL! 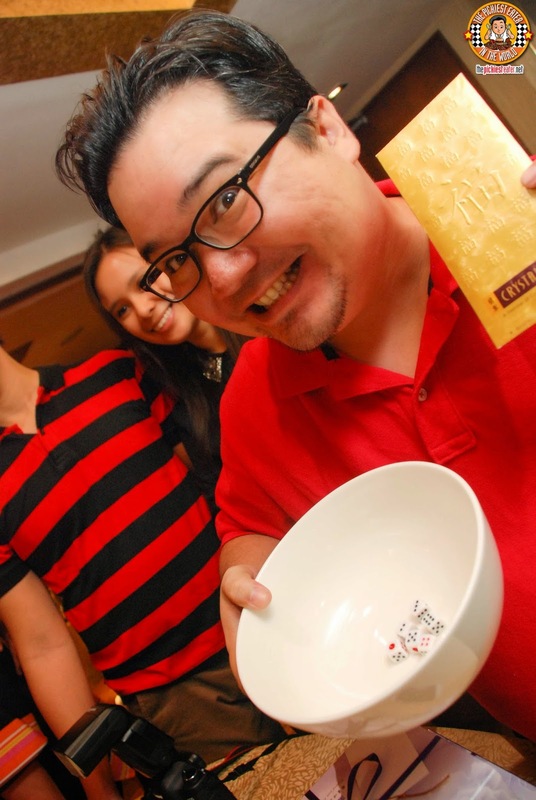 THIS IS HOW WE ROLL: CRYSTAL JADE'S DICE GAME AND MID-AUTUMN FOOD FESTIVAL! 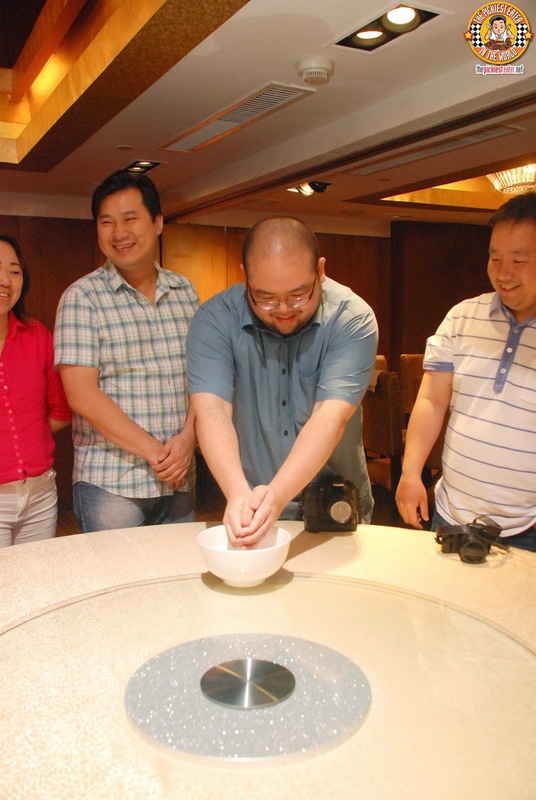 I was really excited when I got an invitation from Crystal Jade to play a Chinese Dice game for the first time! The last time I played a dice game was in high school. The game was Dungeons and Dragons, and I had a high level Magic User. Our mission was to save the daughter of the Village Chieftain from the clutches of the Diabolical Sorcerer, who together with his evil minions, sowed fear throughout the land. Apparently, this was nothing like that. No zombies. No goblins. No Dungeons, and definitely no dragons. All it was, was 6 dice and a bowl. And it was one of the most fun I've had in my life! 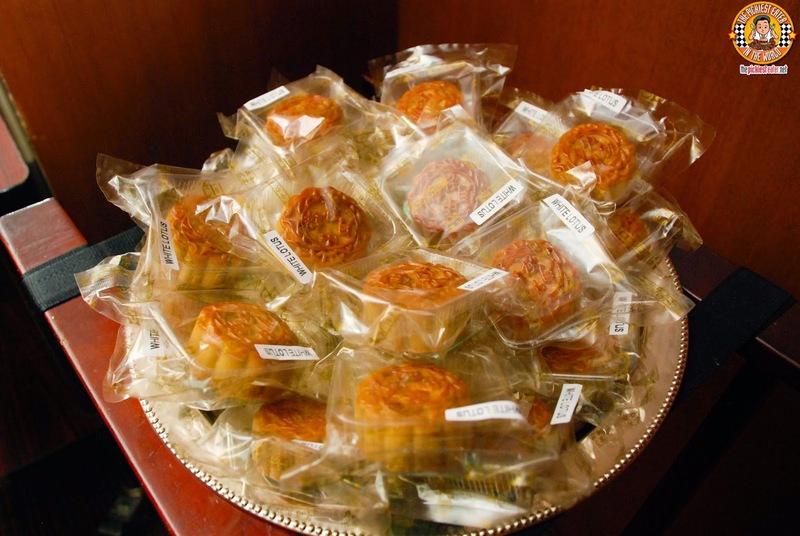 In the Chinese Culture, the Mid-Autumn Festival is known for the gathering of family and friends, as a way of giving thanks for the blessings that they have received throughout the year. The festivities is highlighted by the playing of the traditional "Dice Game", giving the participants numerous chances to win fantastic prizes! Crystal Jade Dining IN joins you and your family in Celebration of the Mid-Autumn Festival with their Specialty Menus! And get a chance to take home a prize.. Including GCs From Crystal Jade! The meal includes Chicken cooked three ways, each style give the Crystal Jade touch. You can start your meal with the first Chicken dish.. 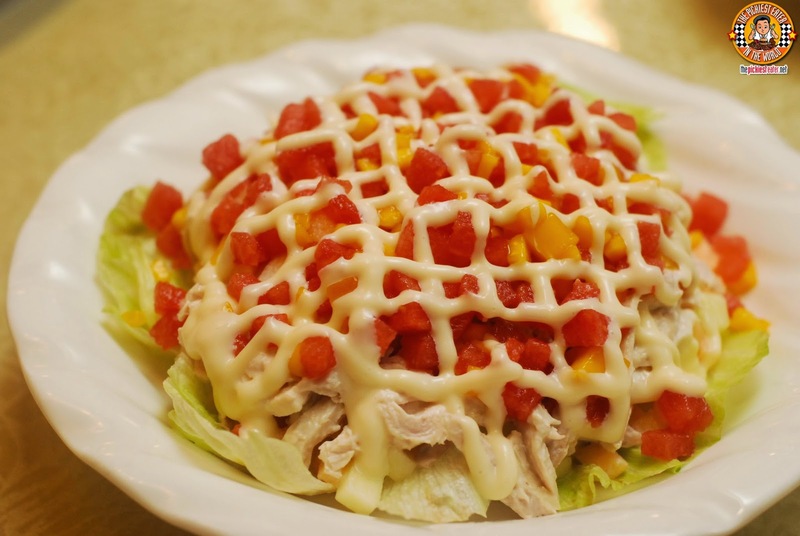 The Shredded Chicken with Fresh Fruit Salad. I know I don't usually have favorable things to say about salads, but is a rare exception. The mixture of the chopped, fresh fruits, were very refreshing, with the lightly juices of the watermelon that burst with every bite, and the vibrance of the acid on the mango working surprisingly well with the shredded chicken chunks, and the creamy drizzling. For your soup, Crystal Jade presents the second chicken dish.. The Poached Chicken with Cordycep Flower and Beancurd. 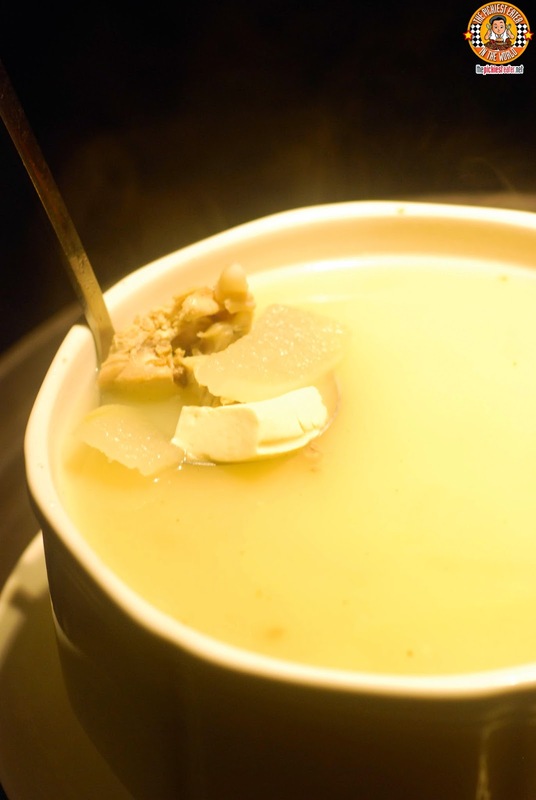 The soup is light, but deceitfully hearty, whilst the chicken was tender and flavorful. The Braised Homemade Beancurd with Mushroom may seem just like a vegetable dish, but you will be surprised with how filling it is. 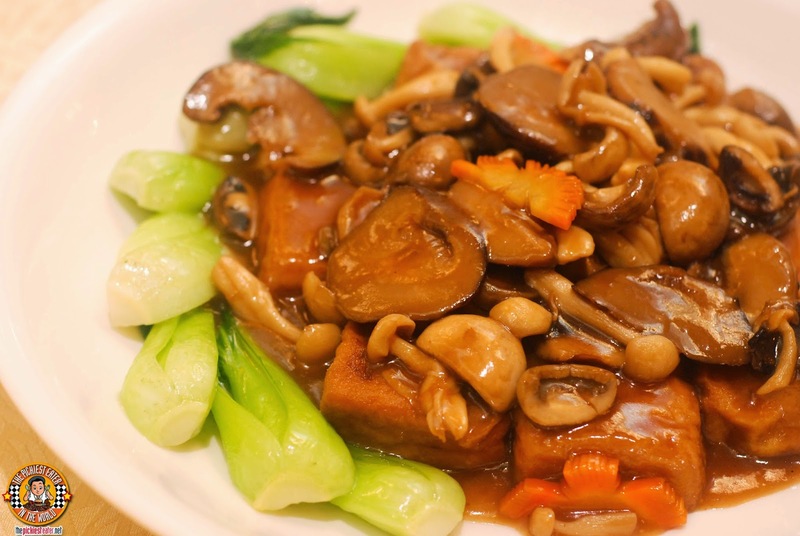 A medley of different type of mushrooms, swimming in a thick sauce, and resting on a bed of soft tofu. Rina loved the Sauteed Shrimp with Broccoli Flower. 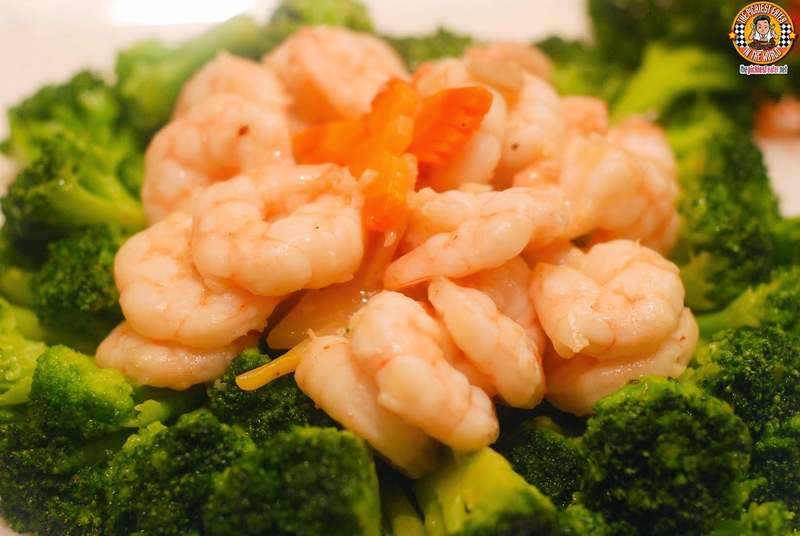 The shrimps had a natural sweetness to it that blended well with earthiness of the Broccoli. Personally, I had my sights set on the next dish. 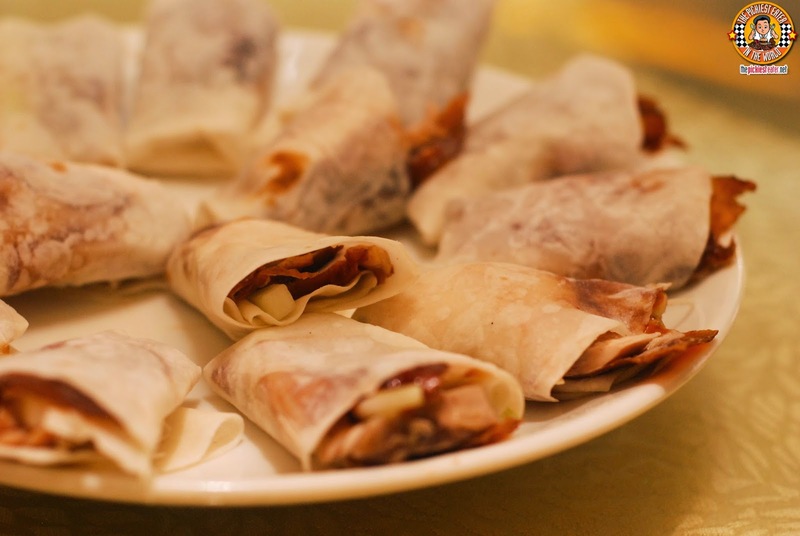 I'm a big fan of Peking Duck wraps, so believe me when I say that the Jiang Nan Crispy Sliced Chicken Wrapped in Pancake is a good, more cost efficient substitute. 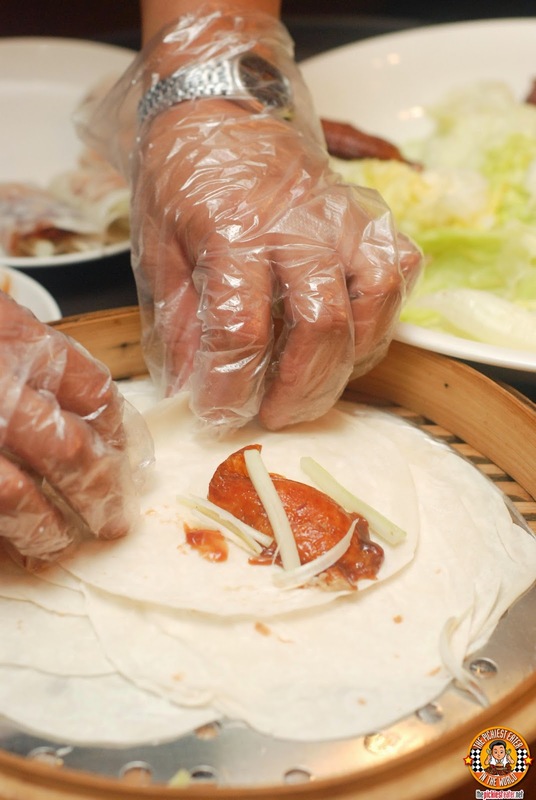 The Chicken is carved table side, so you get to see the skillful hands of your server wrap those bad boys nicely. 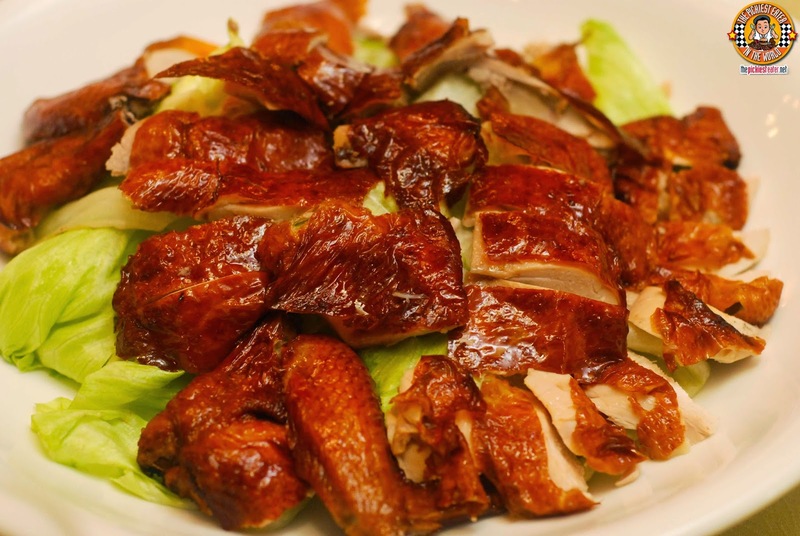 You still get a nice crispiness in the skin reminiscent to duck, and great flavor of roasted chicken, and a touch of the robust taste of hoisin, all without the fattiness of duck (Although I must admit, I don't mind the fattiness so much hehe.. Obvious ba?). The dish that totally blew my mind was the Deep Fried Garoupa Balls with Sweet and Sour Sauce. 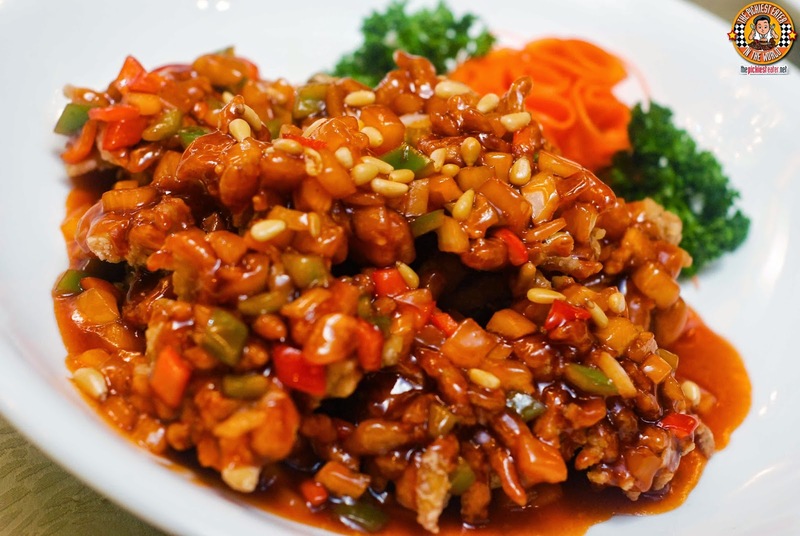 Minced pieces of deep fried Garoupa, seemingly fused together together with bits of carrot, bell peppers and pineapple, to make a unique sweet and sour dish. The sauce and the perfect balance of tangy and sweet, not to mention the fish had a beautiful crunch with every bite. 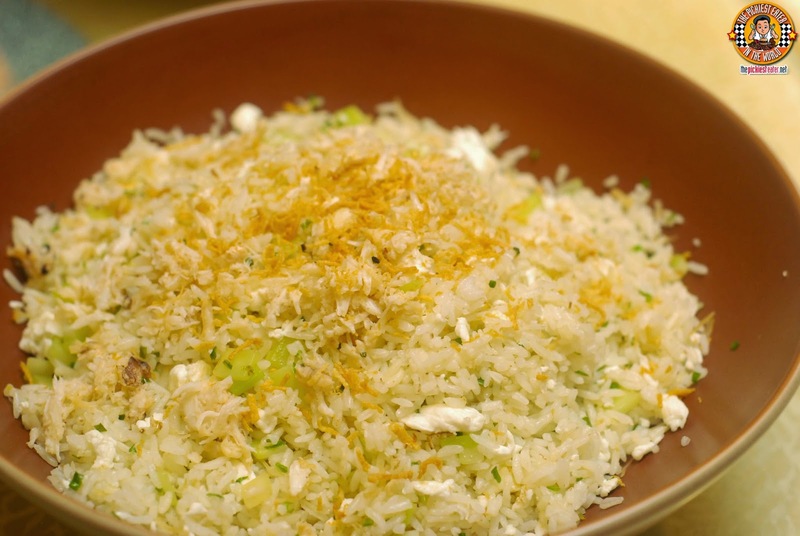 You are also served the Crystal Jade Fried Rice, which is pretty much a meal in itself. I'm a fried rice guy, and this is among the best that is out there. The mixture of the egg and green onions gives the rice enough flavor, that you'd barely notice that there isn't much, or any meat in it. The meal ended with Crystal Jade's Lotus Cream Mooncake. 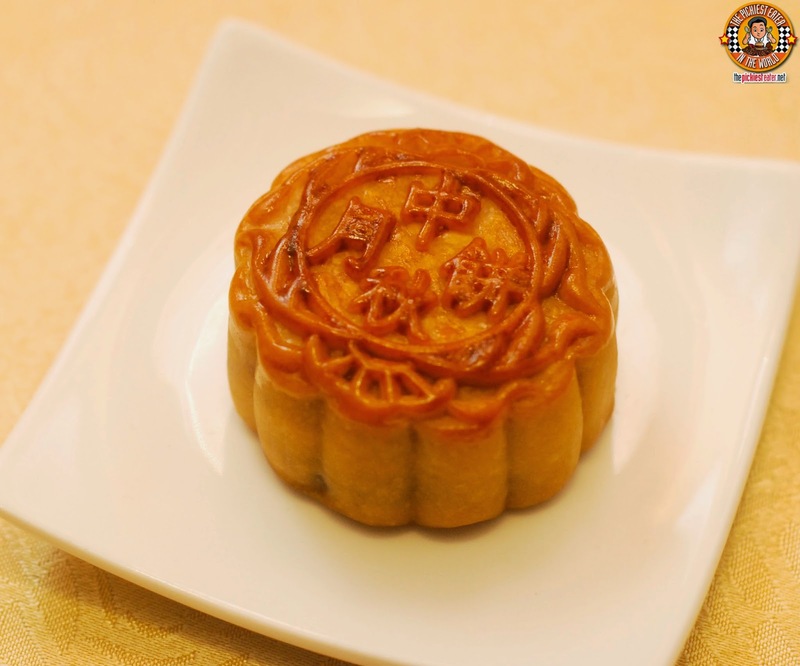 I was a little bit wary about eating Mooncake, but after a few bites of this lightly sweet, with-a-touch-of-nuttiness treat, I unwittingly ended up finishing it! After everyone had filled up their bellies (with the sole exception of Dude4food who still was going at it while the festivities continued), we gathered around the nearby table to play the dice game. Our host, Kenneth of Crystal Jade, gave us a run down of the rules before we began. He explained that the person who arrived earliest gets to roll first, then everyone around the table gets a turn, until they start again from the first contestant. 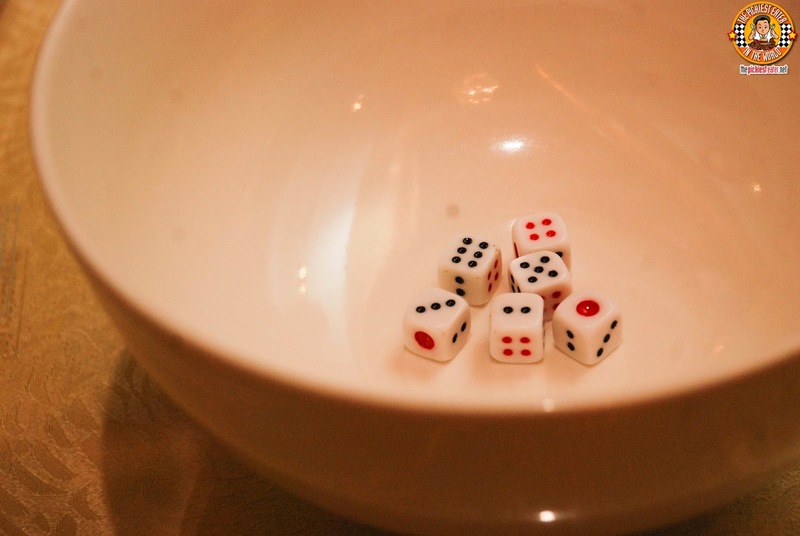 Each contestant rolls the 6 die into the bowl, with the goal being to get as many "Fours" as you can. There are other combinations as well that can avail you of prizes. It's actually quite complicated so I just rolled the dice and believed anything they said. And as you'll see, it worked out pretty well for Rina and I. After our friends from When in Manila got the first turn as the "Early Birds", It was the Dude4Food who went next. Unfortunately, he rolled a little bit too enthusiastically, and some of the dice spilled out of the bowl, causing him to forfeit his turn! A little too much wrist action, huh, buddy?. Next up was the dynamic duo behind "The Food Alphabet".. Joan and Abet! Followed by Mr. Food In The Bag Himself! And the lovebirds Richard and Irene.. aka Mr and Mrs "Tales from The Tummy". Jeff and Jane, more commonly known as Sugar & Spice, shocked everyone with their R-Rated Antics! But the big winners of the day.. were Rina and I! Rina won the first prize by rolling five "fours", while I got the second prize because I rolled a "straight".. Meaning a 1-2-3-4-5-6! 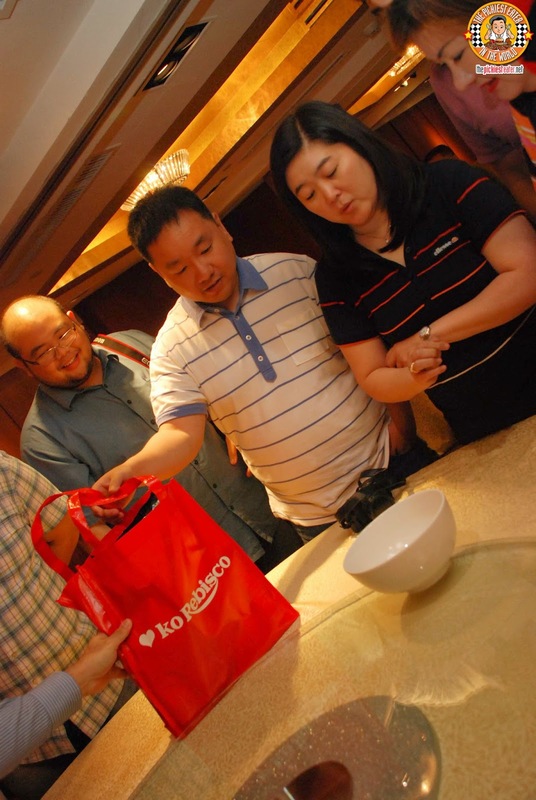 Together, we went home with three boxes of Crystal Jade's delicious Polo Buns, a Gift bag from Rebisco, and some GCs! Not bad, huh?? On the whole, it was an incredibly fun experience.. Who would have thought a simple dice game could be so exciting? And the food was amazing.. It may be a Mid-Autumn menu, but the dishes were truly fitting for all seasons! Thank you again, Crystal Jade! 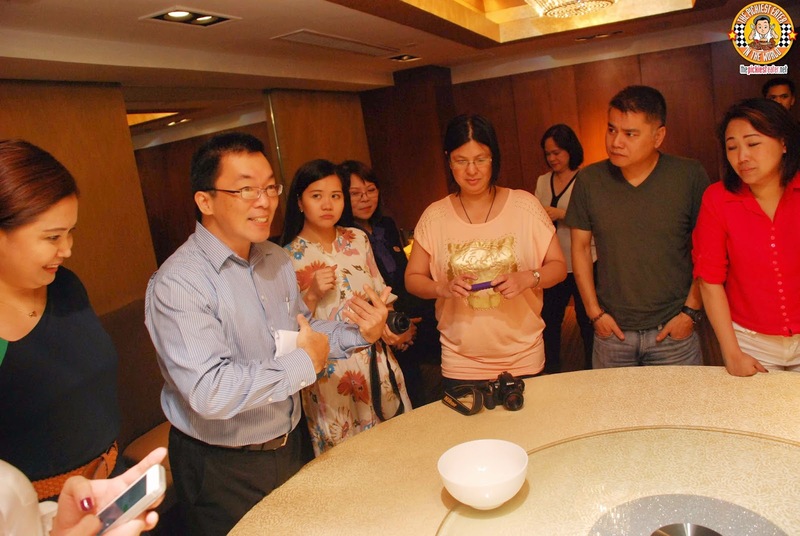 The discounted cost of the Mid Autumn Festival Set Meal is P3,800++ (from P5,000) for 4-5 pax, while a group of 8-9 people costs P7,800++ (from P10,000). UPDATE: The Mid Autumn Festival has been extended and now runs until September 30!